See the events that created the Virginia529 of today. 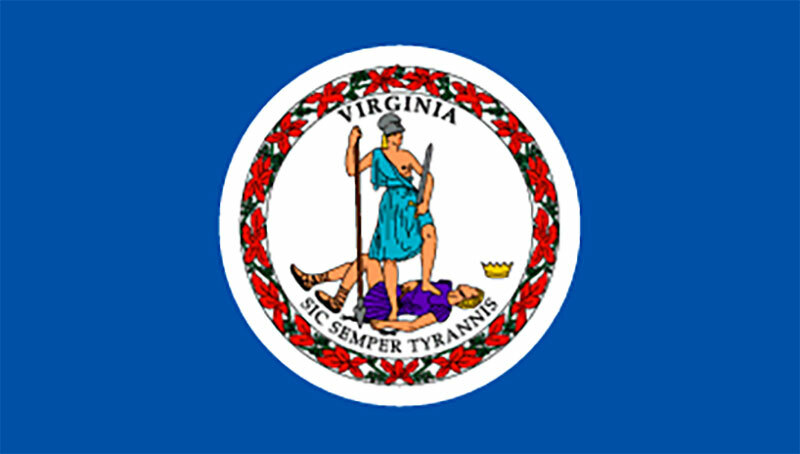 Virginia General Assembly passes legislation enabling creation of prepaid tuition savings plan in Virginia. 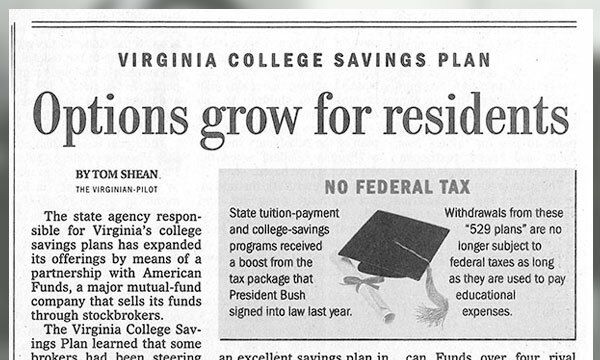 Virginia Higher Education Tuition Trust Fund (HETTF) forms and starts developing a prepaid program. 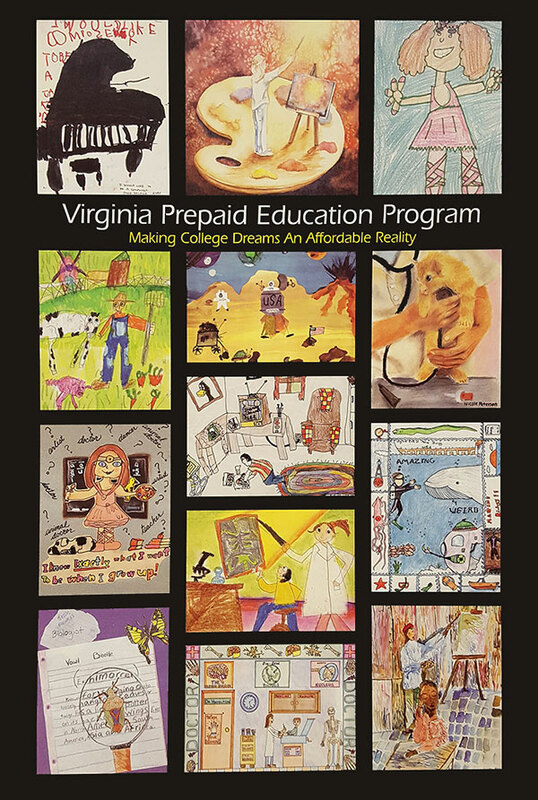 Virginia Prepaid Education Program (VPEP) opens for enrollment and sells more than 16,000 contracts in its first year. 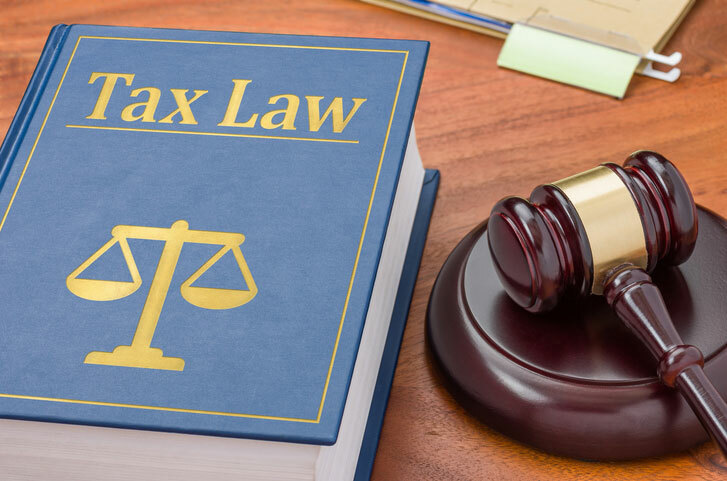 Congress passes Section 529 of the Internal Revenue Code, clarifying the federal income tax status of state college savings programs, creating tax advantages for saving in a 529 account and authorizing both prepaid and savings programs. Virginia General Assembly enacts up to $2,000/year state income tax deduction for contributions to Virginia Higher Education Tuition Trust Fund accounts. 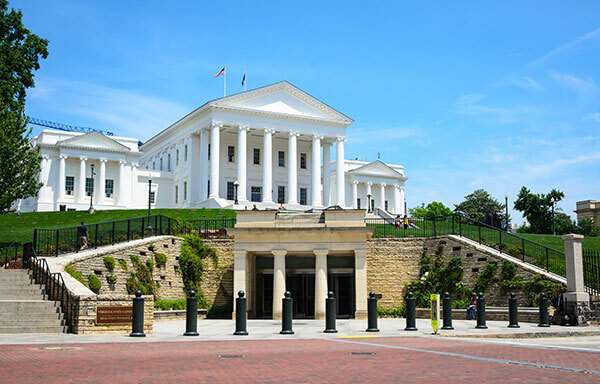 Virginia General Assembly authorizes creation of savings programs. 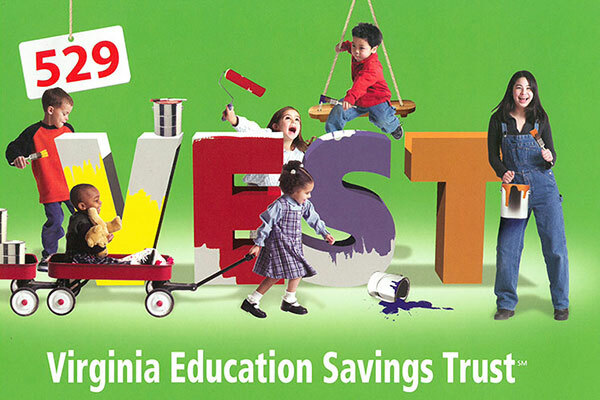 Virginia Education Savings Trust (VEST) launches as one of the first direct-sold college savings programs in the country. 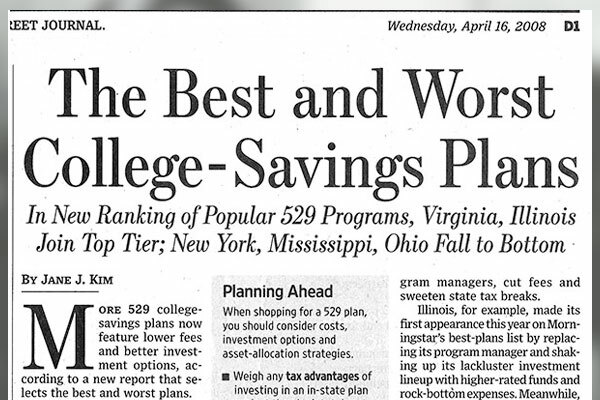 Agency name changes to the Virginia College Savings Plan, now commonly known as Virginia529. 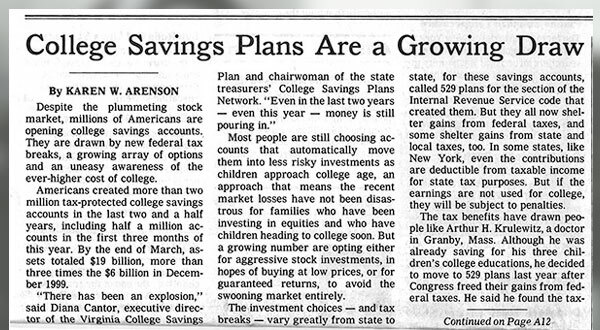 Congress makes qualified distributions from college savings programs tax-free; previously they were taxed upon distribution to the beneficiary (student). Virginia529 joins with the American Funds companies to create Virginia’s advisor-sold program, CollegeAmerica®, available nationwide. Virginia529 and its programs are consistently regarded highly by both experts and families. 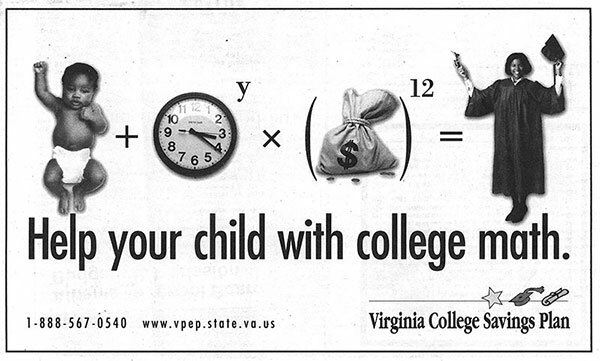 CollegeAmerica® surpasses $10 billion in assets and Virginia Prepaid Education Program (VPEP) reaches its first billion. 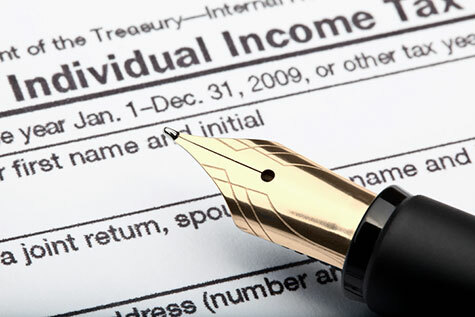 Tax-free distributions established in 2001 become permanent in tax code. CollegeAmerica® continues to grow, reaching $25 billion in assets, and Virginia Education Savings Trust (VEST) tops the $1 billion mark. 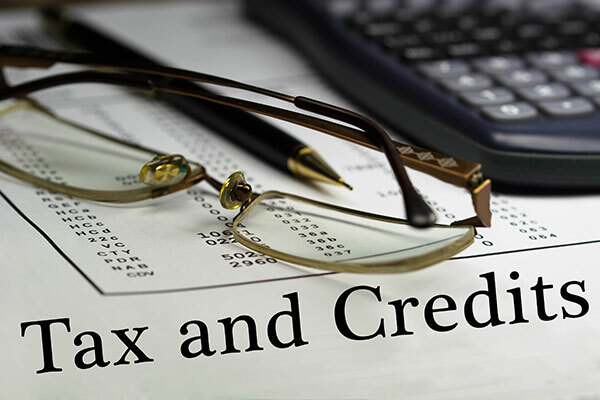 Virginia General Assembly doubles annual state income tax deduction for 529 account contributions to a maximum $4,000 per account. Virginia529 launches, with partner Union Bank & Trust, a new saving option offering an FDIC-insured bank account. 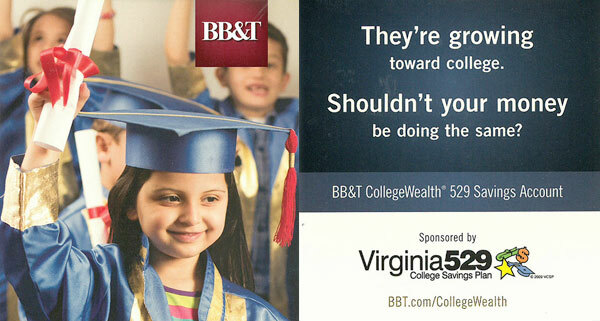 Virginia529 adds a new banking partner, BB&T, to expand CollegeWealth nationwide. 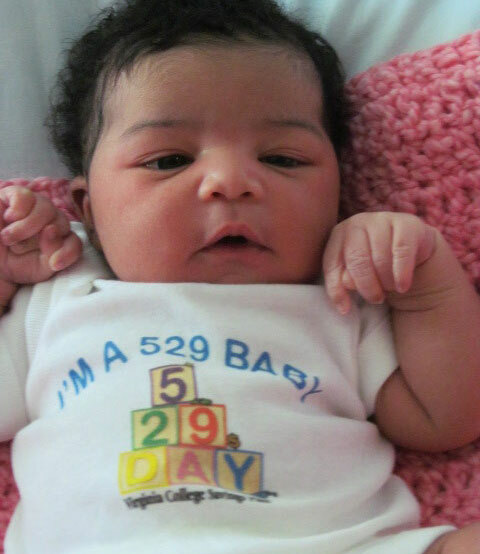 Virginia529 initiates a campaign celebrating May 29 as 529 Day and creates partnerships with Virginia hospitals to award accounts to select babies born that day. Some parents get a painful lesson about higher education planning. And others? 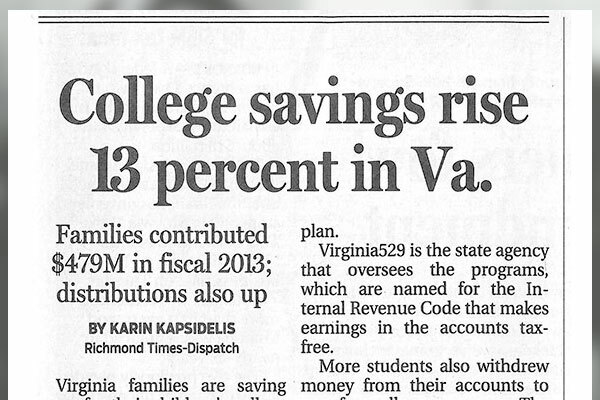 They’re already saving with Virginia529. SOAR Virginia inspires and assists high school students in reaching their post-secondary education goals. 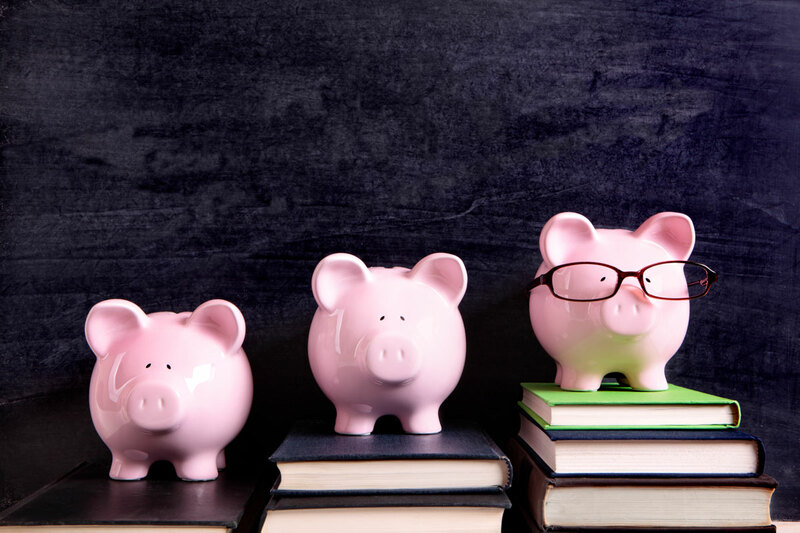 Participating students at eligible schools receive a range of assistance and earn scholarship support of up to $2,000 to apply toward their higher education expenses. 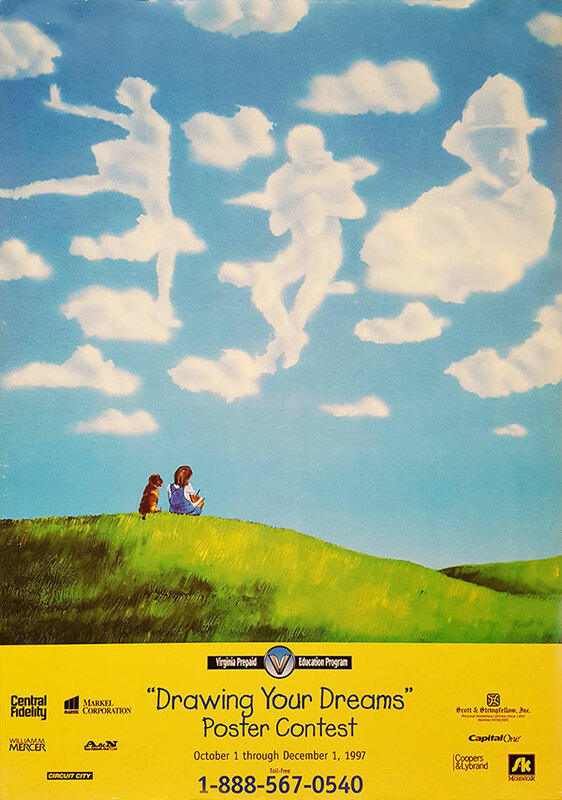 Kids take an active role in preparing for their future higher education expenses in this commercial Virginia529 began running in 2010. 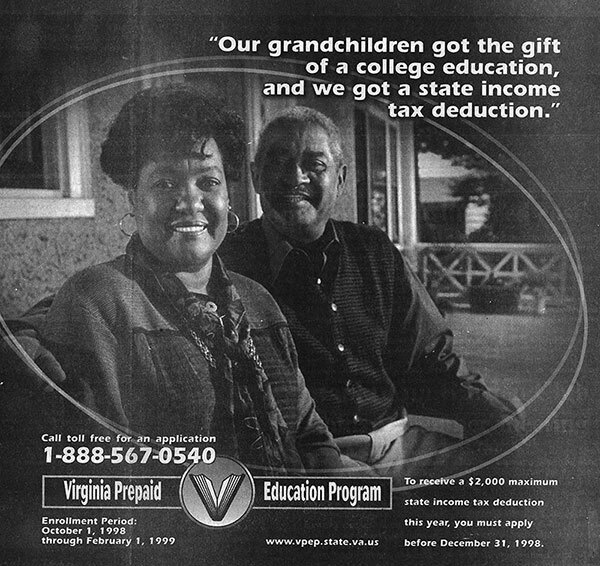 Virginia Prepaid Education Program (VPEP) name changes to Virginia529 prePAIDSM and Virginia Education Savings Trust (VEST) becomes Virginia529 inVESTSM. 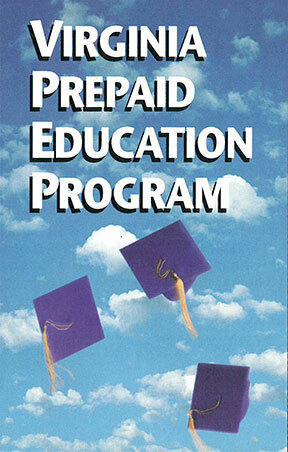 In addition, prePAID begins offering semester contracts to cut in half the cost of getting started. Tuition Monster joins the Virginia529 team in November 2012 after staff find him pestering new parents in a local hospital’s obstetrics department. 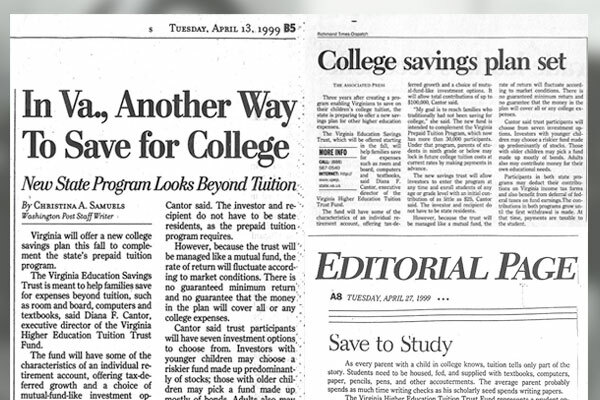 We put him to work reminding parents of the importance of saving for college. 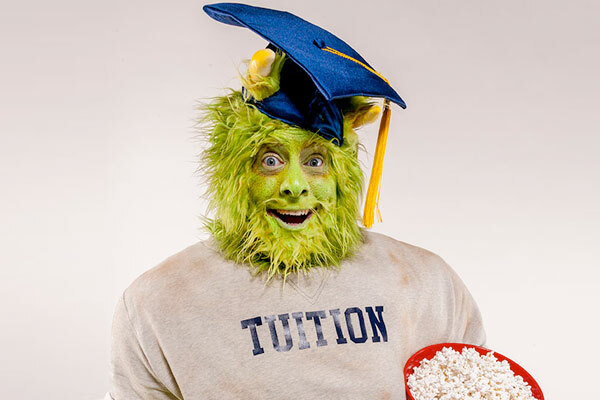 Tuition Monster can be annoying at times, but he is easy to tame when you save with Virginia529. 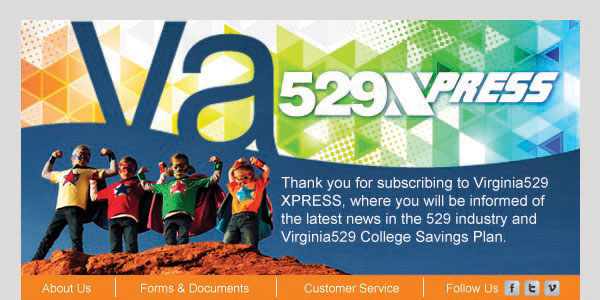 Virginia529 introduces an email newsletter to share program news, special offers and saving tips with customers and prospective customers. 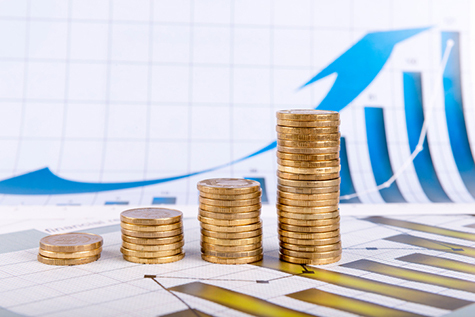 Total assets invested with Virginia529 surpass $50 billion. 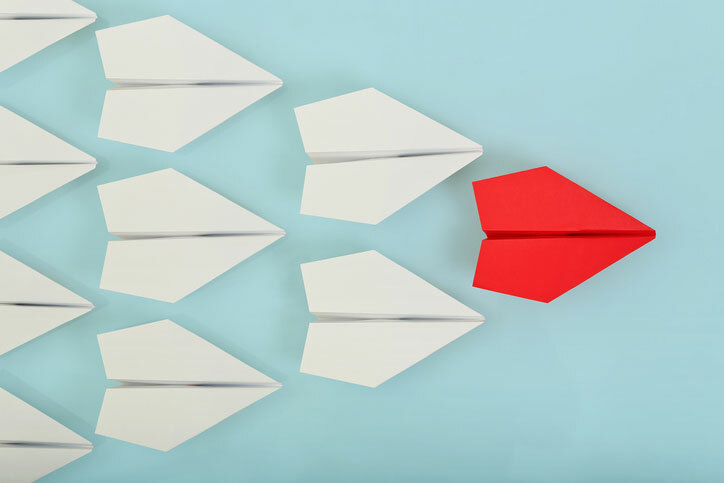 With continued success, the agency looks for ways to make programs more competitive and attractive to current and prospective customers. 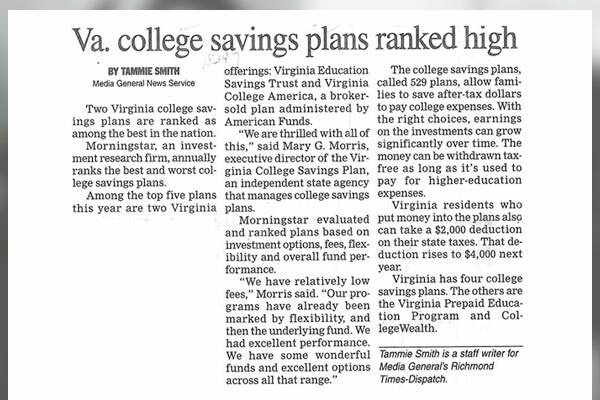 As a result, Virginia529 decreases inVEST and CollegeAmerica® fees and eliminates the $25 application fee for new accounts opened online. 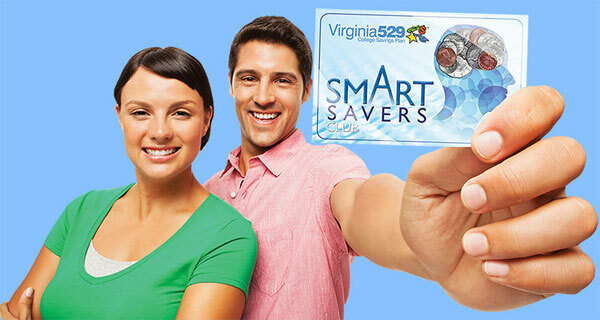 The introduction of the Smart Savers Club rewards Virginia529 customers for saving. Following passage of the Stephen Beck, Jr. 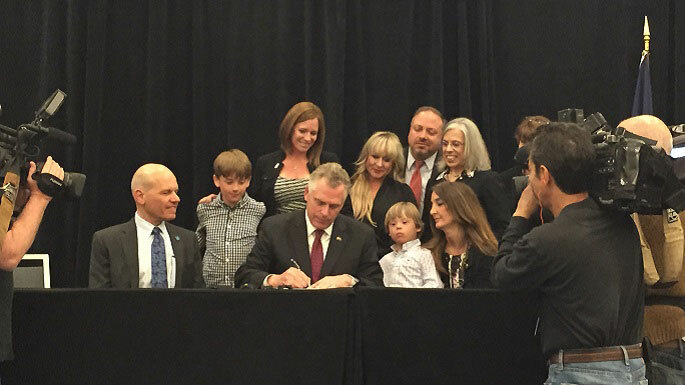 Achieving a Better Life Experience (ABLE) Act by Congress in December 2014, the Virginia General Assembly authorizes Virginia529 to create a disability savings program. The program will be called ABLEnow. Virginia529 opens ABLEnow, the Virginia-sponsored state ABLE program, to help individuals with disabilities save money for present and future expenses like never before. 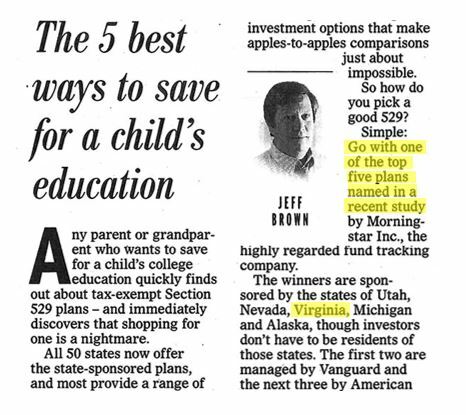 Virginia529 celebrated twenty years of helping millions of families nationwide save for their academic savings goals.